The truck suffered significant damage. Photo courtesy Tommy Wang. ROBERTS CREEK, B.C. – The RCMP is reminding the public to lock up their vehicles. A bear found itself in a unique situation when it broke into a Ford-150 truck in Roberts Creek and got stuck. 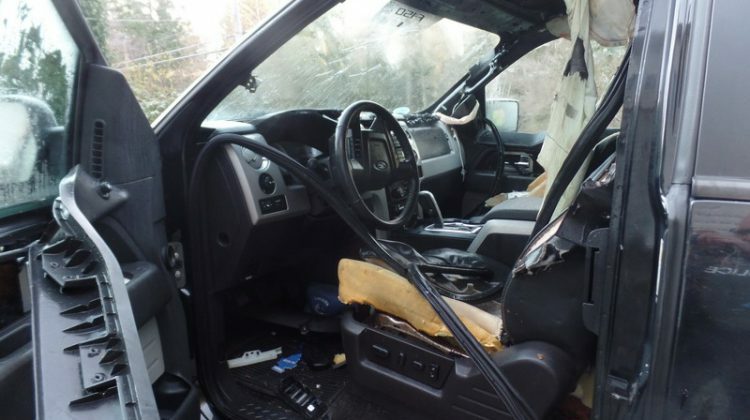 As it tried to get out, the bear ended up tearing off a door, ripped apart the seats and chewed on the dash. When police responded to the incident, the bear was still in the truck, and police ended up using a rope to pull the door open to let the bear out.